tdf10 day 8 b, originally uploaded by dovesroost. 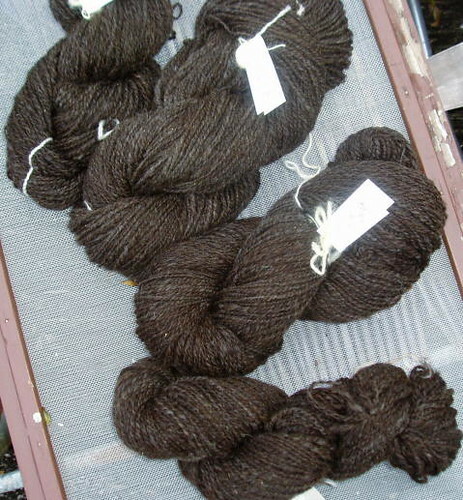 Here is the damage so far: 17.7 ounces/1012 yards of 2-ply CVM/Romney. Less than a bobbinsworth to go! Yes, Tom, your sweater yarn is almost done!